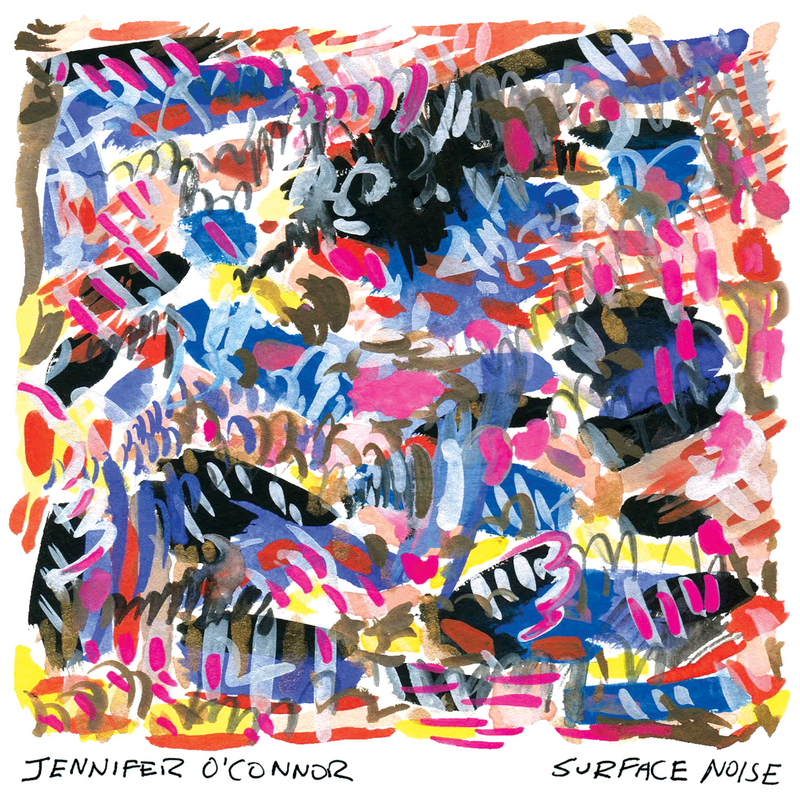 Surface Noise, Jennifer O’Connor’s sixth full-length release and the first since 2011’s I Want What You Want, is an album about the survivalist’s instinct to persevere in the face of all of life’s delightful and often horrifying twists and turns. An album of mini-documents, Surface Noise explores the gravity of imminent loss, cautious hope and the touch-and-go nature of daily life. More importantly, perhaps, it features some of O’Connor’s best songs. You will not find a catchier piece of pop music in O’Connor’s catalog than first single, “Start Right Here”. Propelled by longtime drummer Jon Langmead’s driving beats and a buoyant bassline from Yo La Tengo’s James McNew (also the band on much of her 2006 Matador debut Over the Mountain, Across the Valley and Back to the Stars), “Start Right Here” is a statement of purpose about hanging on and hanging in despite whatever chaos is afloat. “Many important things happened in my life during the long process of making this record – high highs and low lows,” O’Connor stated. “I moved out of New York City where I had lived for 15 years. I got married. 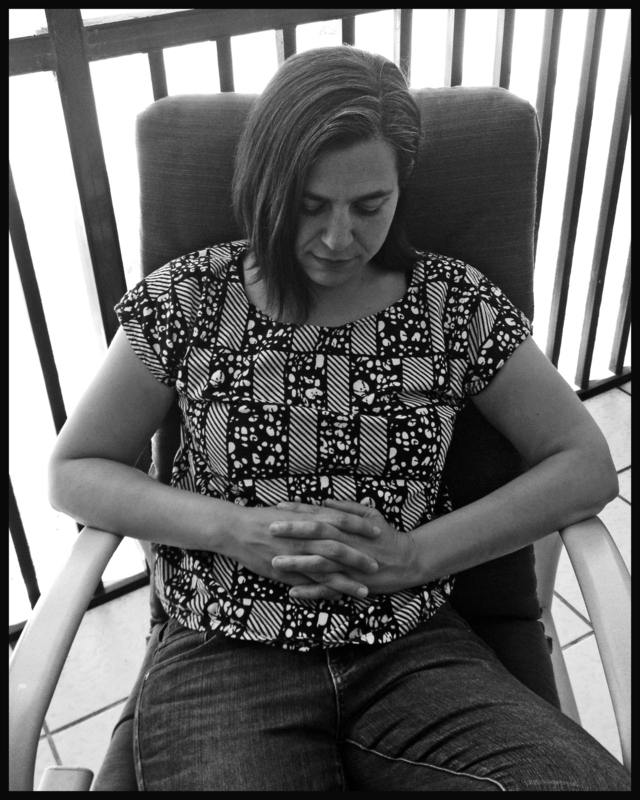 My mother got increasingly sick and passed away after a decade long illness. I wrote a song in a couple of hours that ended up in an iPhone commercial." That song, "When I Grow Up," was featured in Apple's 2014 online ad for the iPhone 5s. O'Connor used the money from the placement to open the The Kiam Records Shop (named after her record label) in her new home in Nyack, NY. The store, which focuses on selling new and used vinyl, has thrived. In the midst of all of this activity, O’Connor kept writing and recording the songs that would become Surface Noise. A short tour with Neko Case in the summer of 2015 would provide O’Connor with the final push of inspiration needed to finish the record. Co-produced by O’Connor and Tom Beaujour at Nuthouse Recording in Hoboken, NJ, over the course of three years, the songs incorporate a variety of instruments played mostly by O’Connor herself, including organs, keyboards, guitars, melodica and piano - all in the service of the same kind of musical economy that's been O'Connor's hallmark since the beginning; not less is more, but instead, an “include-only-exactly-what-the-song-needs-and-nothing-more approach.” Many songs began with beats composed at home by O’Connor on a drum machine (a first), such as on "Tell Me What You Need", "You're Not There”, “Mountains” and “It’s a Lie” and in the studio, Langmead’s organic drums mix with the original drum machine track. Others, like "Falling Feeling" and "The Road" are stripped to just acoustic guitar but reflect a more mature attention to song construction than ever before. In the time between this record and the last, O’Connor’s career as songwriter flourished, co-writing new songs for the television shows Sons of Anarchy and Orange Is The New Black as well as having her own songs featured in dozens of television shows and films including Parenthood, Private Practice, Catfish and Grace and Frankie. Additionally, O’Connor’s song “Beg or Borrow Days” from 2005’s The Color and The Light was recorded by Laura Cantrell for her most recent album No Way There From Here. “Life is weird and the path from one thing to the next is often more direct than I had previously thought,” O’Connor stated. “Through a very tumultuous time, I wrote these songs and recorded them piecemeal whenever I had the chance – because that is what I do.” Surface Noise is the sound of a truly musical artist, who has ridden the ups and downs of a career in music, fully coming into their own and building a home where they can thrive. Jennifer O'Connor's new song "When I Grow Up" in the new Apple iPhone 5s spot "Dreams"
Jennifer O’Connor will release “Where Is Your Heart” b/w “I Do” on July 1, 2014. This single serves as a warm-up for Jennifer’s currently in progress 6th LP, which will see a 2015 release. The basic tracks for ‘Where Is Your Heart’ were recorded on Christmas Eve 2013 with Michael Brodlieb (bass) and Ray Kubian (drums). 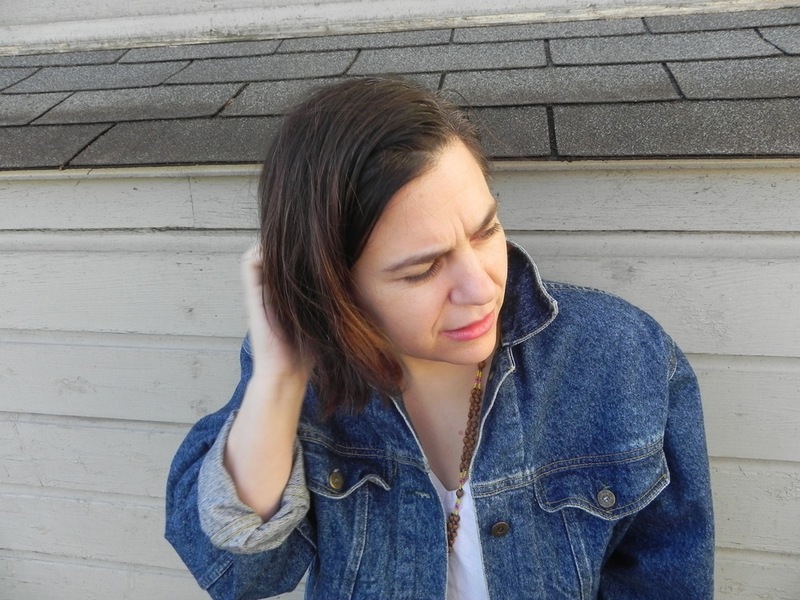 In addition to working on her forthcoming LP, O’Connor has been busy co-writing and recording with Adopted Highways – her new side-project with Nuthouse Recording’s Tom Beaujour and Kiam Records label mate Tim Foljahn (Thurston Moore Band, Cat Power). So far, AH’s have written music for Sideboob, a ficitional band featuring Warden Joe Caputo on season two of the hit Netflix show Orange Is The New Black, and for a Marc Jacobs International web campaign. Jennifer also co-wrote a song for the latest season of Sons of Anarchy with show music director Bob Thiele. 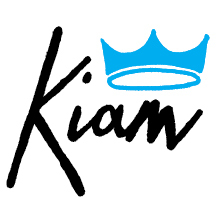 In addition to being a successful recording artist and songwriter in her own right, O’Connor also runs Kiam Records, which in 2013 released the stellar Mass. Grave LP from The Martha’s Vineyard Ferries (Bob Weston of Mission of Burma and Shellac, Chris Brokaw of Come, Codeine and The New Year, and Elisha Wiesner of Kahoots) and The Cost/Amount EP from pop songstress Mascott (Kendall Jane Meade). Jennifer O'Connor's fifth album, I Want What You Want, almost didn't get made. After parting ways with Matador Records in the spring of 2009 after two albums ("Over The Mountain, Across The Valley, and Back to the Stars" in 2006, and "Here With Me" in 2008), O'Connor was discouraged, broke and exhausted from several years of non-stop touring. She put music on the back burner and worked a series of odd jobs: bartender on Broadway, freelance writer, transcriptionist, personal assistant, eBay seller, etc. Occasionally she would pick up her guitar and write a song about the confusing place she found herself in. "I've always written about my life and the people close to me," O'Connor said. "During the years I wrote this album, I was struggling and doing a lot of questioning about where I was and where I wanted to go moving forward. For a while, I wasn't really sure if I would keep playing music." But O'Connor kept writing songs in fits and starts and eventually returned to the studio in November of 2010 to record a new song. "Swan Song (for Bella)" is an ode to perseverance, acceptance and starting over (all of which are overriding themes on I Want What You Want) and has come to serve as the album's centerpiece. "I enjoyed the process of recording that song so much, that it made me want to record the others songs I had, which led to me writing more and eventually it was clear that I was making an album," O'Connor said. O'Connor co-produced the album with Tom Beaujour (Nada Surf, The Virgins) at Nuthouse Recording in Hoboken, New Jersey, beginning with that first recording in 2010 and going through September of 2011. "Musically, I did some things differently on this record," O'Connor said, "and I did a lot of editing and rewriting in the studio and throughout the recording process. I also switched up the main instrument on a few songs: "Change Your Life" and "Your Guitar" were both written on guitar, but we recorded them without using any guitar at all. I used a lot of different keyboard sounds on the record and had a lot of fun finding the right ones." I Want What You Want was recorded with O'Connor's longtime rhythm section of Jon Langmead (drums) and Michael Brodlieb (bass). Select songs feature Tim Foljahn (Two Dollar Guitar, Cat Power, Townes Van Zandt) on guitar, Amy Bezunartea on backing vocals, guitar and harmonica, Richard Baluyut (Versus) on guitar and backing vocals, Kendall Meade (Mascott, Helium, Sparklehorse) on electric piano, Tom Beaujour on guitar and Kirsten McCord on cello. Instead of working with another record label, O'Connor is releasing I Want What You Want on her own imprint, Kiam Records (also the home of her debut, 2002's Jennifer O'Connor.) "We just finished the record a month ago," O'Connor said. "It took so long to make this record, and I feel so happy with it that I just wanted to put it out as quickly as possible. I really just want people to hear it." In the three years since her last record came out, O'Connor has spent a great deal of time working on other Kiam releases from Amy Bezunartea, Choo Choo la Rouge, Clint Michigan and Dump. She also spent time collaborating with other artists, including Chris Brokaw, Charles Bissell of The Wrens and Laura Cantrell in her songwriter's series Tower Of Song, a monthly (but now on hiatus) show held at The Rock Shop in Brooklyn. She's also been a recurring guest on the monthly cabaret show Our Hit Parade hosted by Kenny Mellman, Bridget Everett and Neal Medlyn at Joe's Pub. 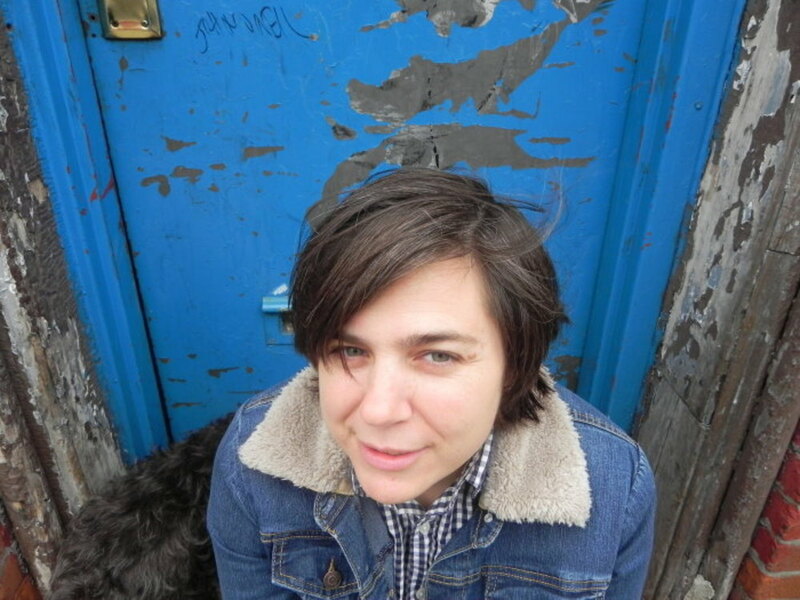 Since her career began, O'Connor has toured the United States many times over, playing alongside bands such as Wilco, Cass McCombs, Silver Jews, The Mountain Goats, Damien Jurado, Feist, and Yo La Tengo. Her songs have appeared in numerous television shows and films such as Sons of Anarchy, The Ghost Whisperer, The Strangers and The Sensation of Sight. I Want What You Want was released digitally on November 8, 2011, Jennifer's birthday. A cd and vinyl version was released on March 6, 2012.